Despite some fluctuating numbers the past couple of weeks, Hong Kong's winter flu activity remains at a high level, and last week forced the early closure of all schools, a full week before their scheduled Chinese New Year's break. This holiday coincides with the Spring Festival travel season, which began about 2 weeks before the Lunar New Year (tomorrow, Feb 16th) and runs for about 40 days total, during which time more than 2 billion passenger journeys will be made (mostly via crowded rail and bus) across Asia. Last week, in Cross-boundary passenger traffic estimation and arrangements for Lunar New Year festive period, Hong Kong's Immigration Department estimated that nearly 6 million passengers (including Hong Kong residents and visitors) will pass through Hong Kong's sea, land and air control points in the week running February 15th to 21st. The concern each year is that this annual migration could promote the spread, and mixing, of seasonal flu viruses, either extending or expanding their regular flu season - or worse - contribute to the spread of avian flu. Despite yesterday's surprise announcement of the first H7N4 human infection, avian flu reports this winter have been greatly subdued. Also, since Influenza B - which has been the dominant seasonal flu virus reported this winter - doesn't reassort with influenza A , this year the risk of seeing an avian-seasonal reassortment should be reduced. While influenza may have peaked in Hong Kong, institutional outbreaks are running far higher than in any recent flu season, and this winter's epidemic is on track to equal or exceed the severe 2014-15 H3N2 season (see comparison chart below). We'll have to wait a couple of weeks to see what impact - if any - this weekend's Lunar New Year celebrations will have on the trajectory of this year's epidemic. Some excerpts from this week's HK Flu Express. Flu Express is a weekly report produced by the Respiratory Disease Office of the Centre for Health Protection. It monitors and summarizes the latest local and global influenza activities. The latest surveillance data showed that the local influenza activity remained at a high level.Currently the predominating virus is influenza B. Influenza can cause serious illnesses in high-risk individuals and even healthy persons. Given that seasonal influenza vaccines are safe and effective, all persons aged 6 months or above except those with known contraindications are recommended to receive influenza vaccine to protect themselves against seasonal influenza and its complications, as well as related hospitalisations and deaths. Apart from adopting personal, hand and environmental hygiene practices against respiratory illnesses, those members of the public who have not received influenza vaccine are urged to get vaccinated as soon as possible for personal protection. In week 6, the average consultation rate for influenza-like illness (ILI) among sentinel general outpatient clinics (GOPCs) was 8.9 ILI cases per 1,000 consultations, which was lower than 11.9 recorded in the previous week (Figure 1, left). The average consultation rate for ILI among sentinel private doctors was 71.3 ILI cases per 1,000 consultations, which was lower than 75.4 recorded in the previous week (Figure 1, right). 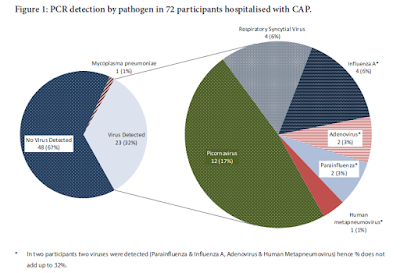 Among the respiratory specimens received in week 6, the positive percentage of seasonal influenza viruses was 24.14%, which was above the baseline threshold of 10.7% but lower than 24.65% recorded in the previous week (Figure 2). The 2016 influenza viruses detected last week included 269 (3.22%) influenza A(H1), 76 (0.91%) influenza A(H3), 1607 (19.25%) influenza B and 64 (0.77%) influenza C.
In week 6, 105 ILI outbreaks occurring in schools/institutions were recorded (affecting 453 persons), which was lower than 115 outbreaks recorded in the previous week (affecting 625 persons) (Figure 3). In the first 4 days of week 7 (Feb 11-14, 2018), 22 ILI outbreaks in schools/institutions were recorded (affecting 114 persons). Since the start of the 2017/18 winter influenza season in week 2, 460 outbreaks were recorded (as of February 14). In comparison, 225, 120 and 112 outbreaks were recorded in the same duration of surveillance (five complete weeks) in the 2014/15 winter, 2015/16 winter and 2017 summer seasons respectively, as compared with 438 outbreaks in the current season (Figure 4). • Since the start of the current winter influenza season in week 2, 300 severe influenza cases among all ages have been reported, including 174 deaths (as of February 14). • Among the adult fatal cases, about 82% had chronic diseases. Both of the two paediatric fatal cases did not have chronic diseases. • Among patients with laboratory confirmation of influenza admitted to public hospitals in this season (from January 7 to February 14), 1.9% of admitted cases died during the same episode of admission. So far, it was below the historical range between 1.9% (2015/16 winter season) and 3.3% (2015 summer season). Influenza activity remained high in the temperate zone of the northern hemisphere while in the temperate zone of the southern hemisphere activity was at inter-seasonal levels. Worldwide, influenza A accounted still for the majority of influenza detections but influenza B (mostly from the Yamagata lineage) increased in recent weeks. In Mainland China (week ending Feb 4, 2018), the influenza activity in both southern and northern provinces continued to decrease but still remained high. The proportion of influenza A detection continued to increase and was higher than that of influenza B. Influenza A(H1N1) and influenza B Yamagata viruses are predominating while levels of influenza A(H3N2) and influenza B Victoria viruses remained low. In southern provinces, the proportion of ILI cases in emergency and outpatient departments reported by sentinel hospitals was 5.1 %, lower than that reported in the previous week (5.9%) but higher than that in the corresponding period in 2015-2017 (3.1%, 3.0%, 3.5%). In northern provinces, that proportion was 4.2%, lower than that reported in the previous week (4.8%) but higher than that in the corresponding period in 2015-2017 (3.0%, 3.8%, 3.5%). The proportion of influenza detections in the week ending February 4, 2018 was 40.4% (62.3% influenza A and 37.7% influenza B). In Macau (week ending Feb 3, 2018), the influenza activity decreased but remained at high level. The proportions of ILI cases in emergency departments among adults and children decreased. The proportion of influenza detections was 36.4%, lower than 54.1% in the previous week. In Taiwan (week ending Feb 10, 2018), influenza activity showed a decreasing trend, but was still at the peak of the season. In the week ending February 10, the proportion of ILI cases in emergency department was 13.15% which was above the threshold of 11.4%. The predominating virus was influenza B. In Japan (week ending Feb 4, 2018), the influenza season has started in late November 2017. The average number of reported ILI cases per sentinel site increased to 54.33 in the week ending February 4, 2018 from 52.35 in the previous week, which was higher than the baseline level of 1.00. The predominating virus in the past five weeks was influenza B, followed by influenza A(H3N2) and A(H1N1)pdm09.